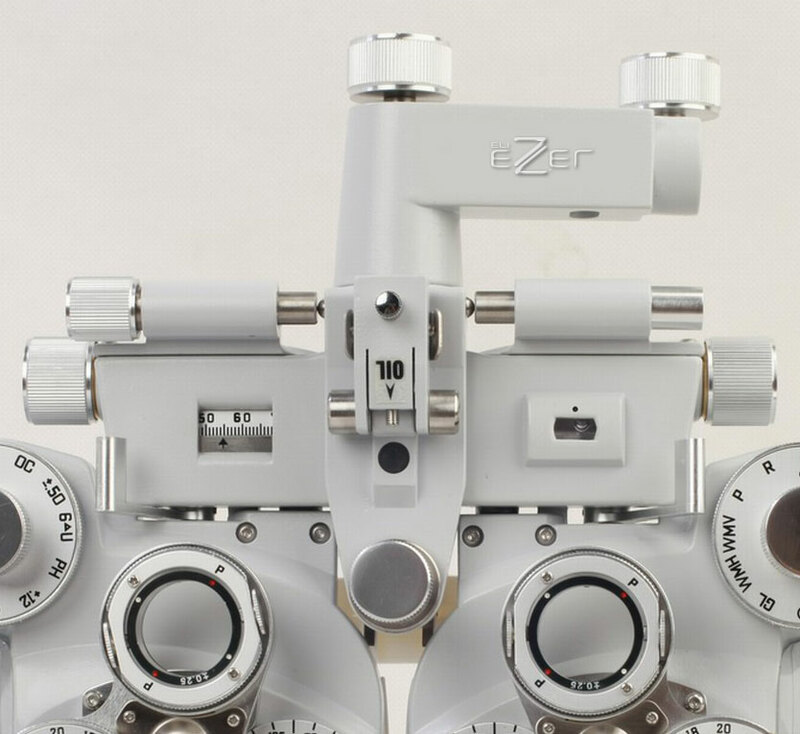 With the Ezer's ERF-5200 Manual Refractor, you can efficiently and confidently perform all of the functions necessary in a manual refraction. 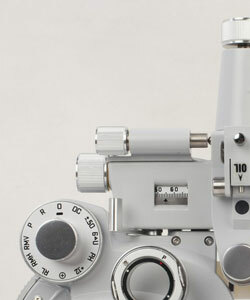 Featuring an attractive design and incredibly wide range of powers, the ERF-5200 allows you to precisely refract and perform vision testing on virtually any patient. Spherical power ranges from -19.00D to +16.75D to -10.00D in 0.25D steps. By using the unit's auxiliary lens, you can measure -29.00D to +26.75D in 0.12D steps. For speed and convenience, sphere power can be changed in 3.00D steps by turning the spherical power quick forwarding dial. Measure cylindrical power ranges from 0 to -6.00D in 0.25D steps. 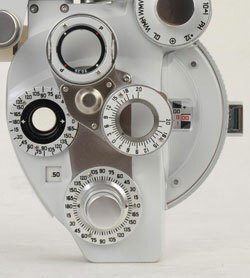 Or, use the auxiliary lens and measure ranges from 0 to -8.00D in 0.12D steps. The cylinder axis ranges from 0°-180° in 5° steps. Quickly and conveniently perform astigmatic testing. The cross cylinder knob on the ERF-5200 is conveniently synchronized with the cylinder axis knob. For even greater precision in wider ranges, ±0.37D and ±0.50D cross cylinder lenses are available. This high-end Ezer refractor allows for vertical and horizontal measurements of 0 to 20∆ in 1∆ steps. Located on both sides, the PD knobs enable smooth and quick adjustment. 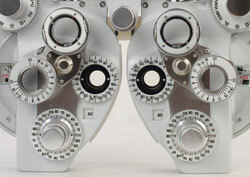 The pupillary distance adjustment ranges from 48mm-75mm in 1mm steps.